One-of-a-kind items that you're guaranteed to love. 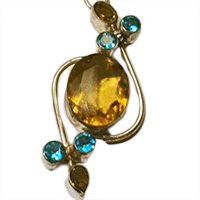 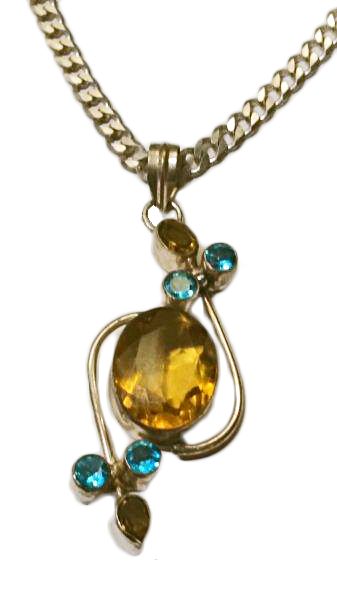 18" solid sterling silver curb chain with a citrine and apatite drop. 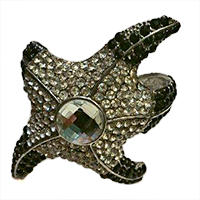 Large sparkly starfish cuff bracelet. 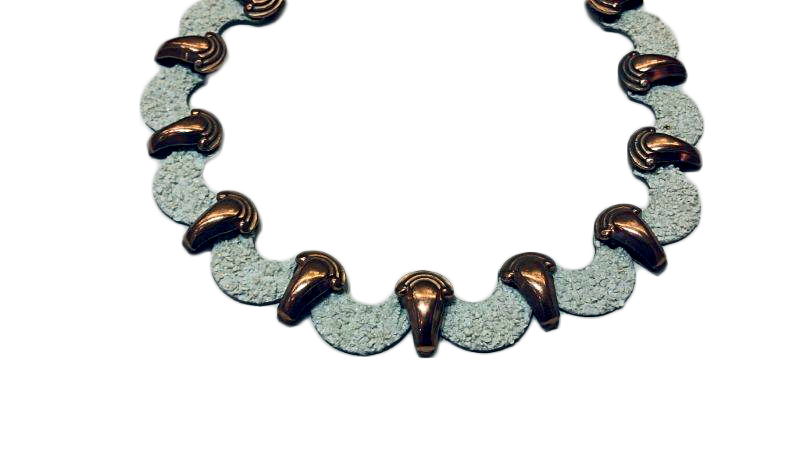 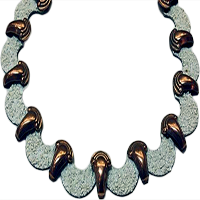 Copper choker with white sugar enamel stations 16" - 18". 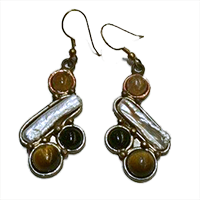 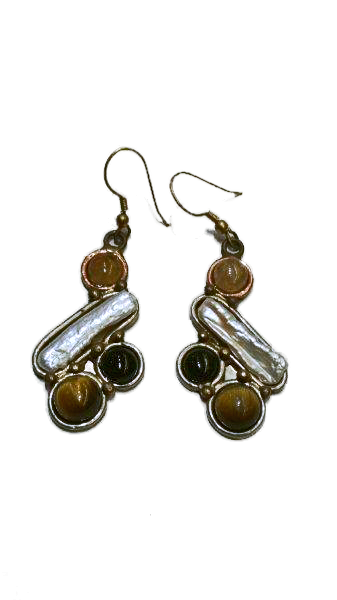 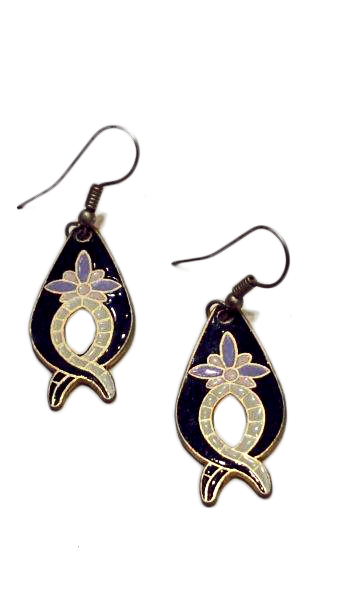 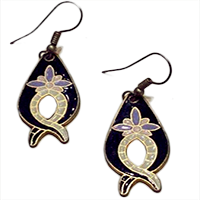 Earrings made of tri-color pearl and tiger eye. 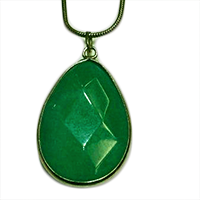 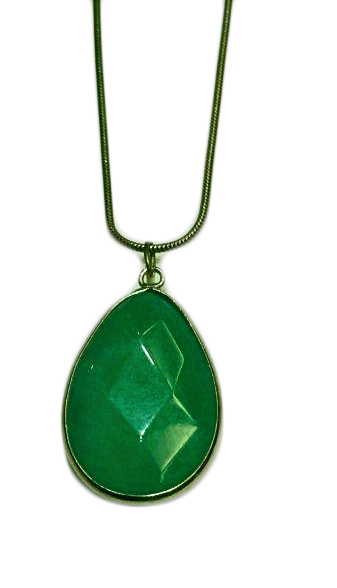 18" sterling silver snake chain with faceted green agate pendant.